E-commerce, as we know it, is old news. Hyperlocal is the hot new buzzword in retail hallways, going by the recent spate of well-funded launches in this space. There is already a wide range of services on offer, from grocery delivery to home, office and personal care services. Hyperlocals, services-based or inventory-based, are largely an urban India phenomenon. Services are hyperlocal by their very nature, driven by locality or communities. When moving into a new city, for example, people would like to stabilize as quickly as possible and here, such services step in. It is a no-brainier that an aggregation model, since it is asset-light, is less capital-intensive than the inventory-led one. Moreover, it is easier to scale up such a model. The new generation of hyper local start-ups is coupling aggregation with logistics/delivery, thus controlling even the last mile. 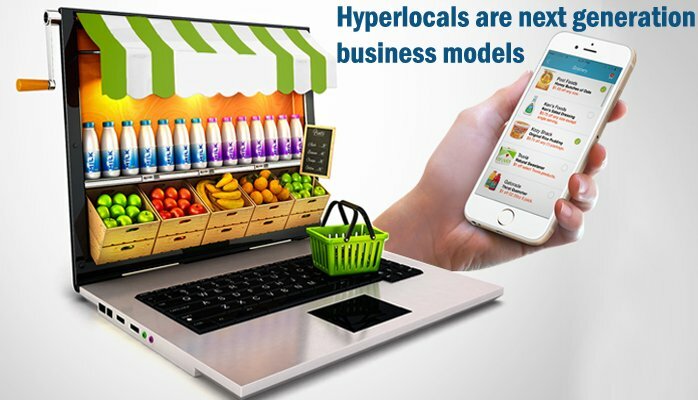 Hyperlocal is essentially mobile commerce that comprises firms thriving on technology in order to connect local retailers with consumers in a particular area. For the consumers, it is an extension of the tech-powered convenience they have become increasingly used to. These firms have an edge over any other form of online commerce because of lower logistics costs, negligible inventory costs and less delivery time. This business model also enables retailers to save significantly on marketing and advertising costs, as it is taken care of by the very feature of being local. Commerce of this fashion goes beyond just conveniences for customers to relevance. Hyperlocal firms can customize their content and offerings based on the location they are in, as each locality typically houses a certain kind of customer demographic. Hyperlocal firms can moreover capitalize on the unique advantage they have in creating a personal equation with their target audience. The biggest learning will be the capability to scale. A hyperlocal that focuses on a single ‘locality’ will find it difficult to get the scale needed to create an economically viable model. Being able to identify a widespread but local need, and having a model that adapts to each new market will be crucial.